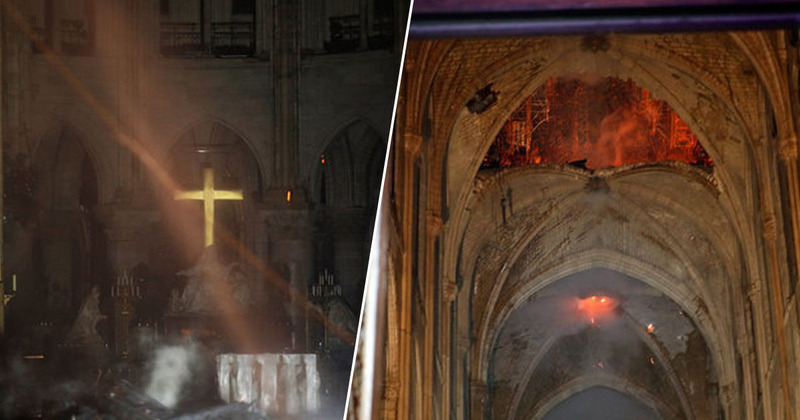 Shocking photos have revealed the devastating damage from inside Notre Dame Cathedral after a blaze broke out yesterday. 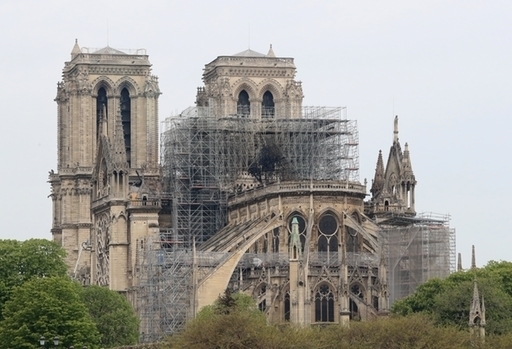 A destructive fire engulfed the 850-year-old Parisian landmark yesterday (April 15), gutting parts of the building, and destroying the cathedral’s roof and spire. 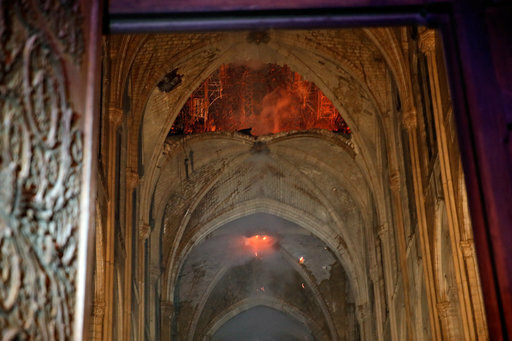 Nine hours after the fire started, firefighters managed to get it under control saving the Gothic building’s main stone structure and famous two towers. As reported by BBC News, the cause is currently unclear but is believed to be linked to the extensive renovation work which was underway. The Paris prosecutor’s office is investigating the incident as an accident. Flames quickly reached the roof of the cathedral after the fire started at around 18:30 (16:30 GMT) yesterday, rapidly destroying the building’s wooden interior, spire and stained-glass windows. Although fires did start in the two towers, they were stopped before they could spread leaving the structures intact. In the early hours of this morning (April 16), firefighters declared the blaze under control before announcing the fire was fully extinguished. Several teams have now entered the landmark to assess the extent of the damage which French President Emmanuel Macron revealed could have been much worst. Speaking to the media at the scene before midnight yesterday, Macron also vowed to rebuild the cathedral. The worst has been avoided. I say this very solemnly tonight. We will rebuild it together. It will undoubtedly be part of French destiny and our project for the years to come, but I am committed to it. Starting tomorrow a national subscription will be launched and well beyond our borders we will appeal to the greatest talents and there are many who will come to contribute and rebuild us. We will rebuild the Notre Dame, because that is what the French expect, because it is what our history deserves and its because its our deep destiny. BBC News added emergency teams were able to rescue valuable artefacts and artwork including what is claimed to be the crown of thrones Jesus wore before his crucifixion. We had a chain of solidarity, especially in saving the works of art… [They] were able to be saved and put in a safe place. 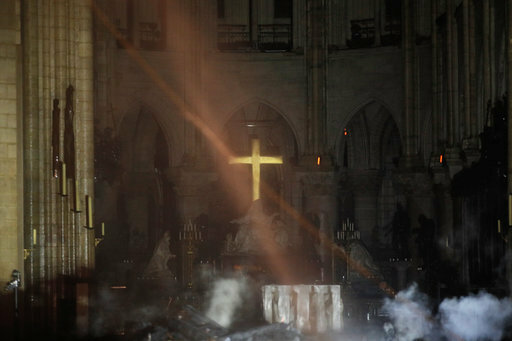 This is a tragedy for the whole world… Notre Dame is the entire history of Paris. The culturally significant cathedral has stood since 1260 after work started on it in 1160.